It's time for my fourth annual Fantasy Farm Shopping tour, brought to you by the cold and endless white landscape of the Adirondacks. Just after the holidays I begin to long for good weather and green grass. I am not alone. My six month old goslings have been cut completely off from their daily fill of vegetation. Hay chaff and alfalfa cubes are making due at the moment. If the sun comes out at high noon, I do indulge them by filling one of their kiddy pools with tepid water so they can bathe. It's a small token of luxury. My three baby goats who are also six months old have grown thick full coats that appear to be keeping them insulated in the bitter cold air. At night they instinctively snuggle close together for additional warmth in their deep hay bedding. 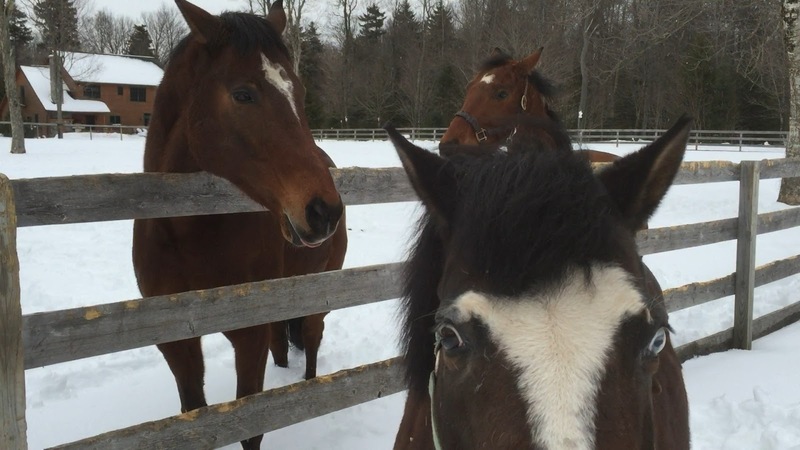 The horses and donkeys demonstrate once again their ability to accept the cold and bare it. All I can offer them is protection from biting wind and as much hay as they can eat. The thought of leaving our farm in search of milder weather conditions is tempting but not really what I crave. However, perusing listings that only 2% of the population can afford is kind of soothing. The mood is ruined when I begin to wonder who will dust the chandeliers in the barn or mow the forty-two acres of grass? How much does hay cost in Wellington since you can't really grow it nearby? Who cleans the pool? Actually, who has time to sit by the pool when thirty stalls need cleaning? Back to reality I am jolted where there is plenty of time here at home to clean stalls. 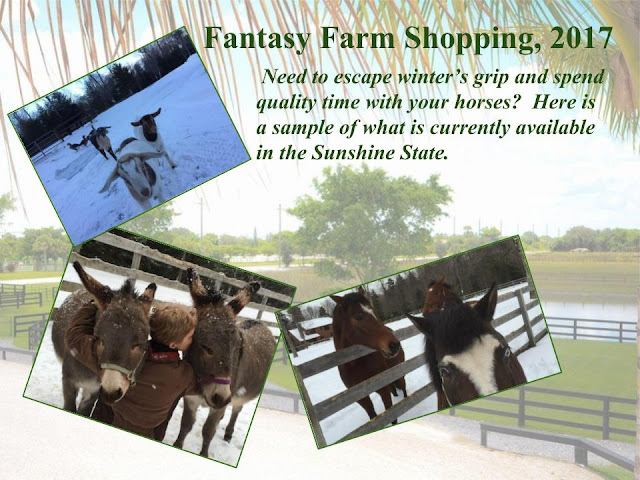 With horses, donkeys, goats and geese milling about the barn on these harsh winter days, there is plenty of incentive too. Enjoy! ...is a joy, no matter what the weather is.